My Samsung CLP-415NW printer was giving a A1-4111 error. I found a post saying that this can be caused by a toner sensor electromagnet failing to hit the correct position because a foam pad squishes up. After removing the front door (remove black plastic extenders, pull up left side of door to pop out hinge), the front plastic piece, and the right side plastic case, the electromagnet can be uncovered. 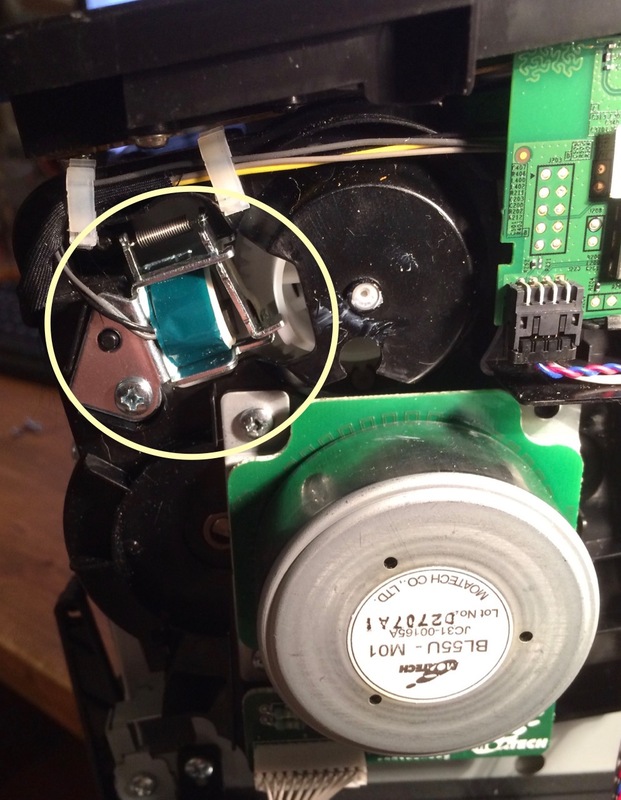 The electromagnet assembly can be removed with one screw, and pulled out for easier access. I added a 3-4 layers of masking tape to build up the pad. This cleared up the issue. Thanks Guys for posting this. Works like a charm. Save the environment since I do not have to throw out a perfectly fine working printer. Wow! I’ve seen all kids of so called “tricks” on line that never work but this one actually did! I used adhesive felt and it worked great! Thank you so much for the post! Cavalcade of Mammals © 2019. All Rights Reserved.